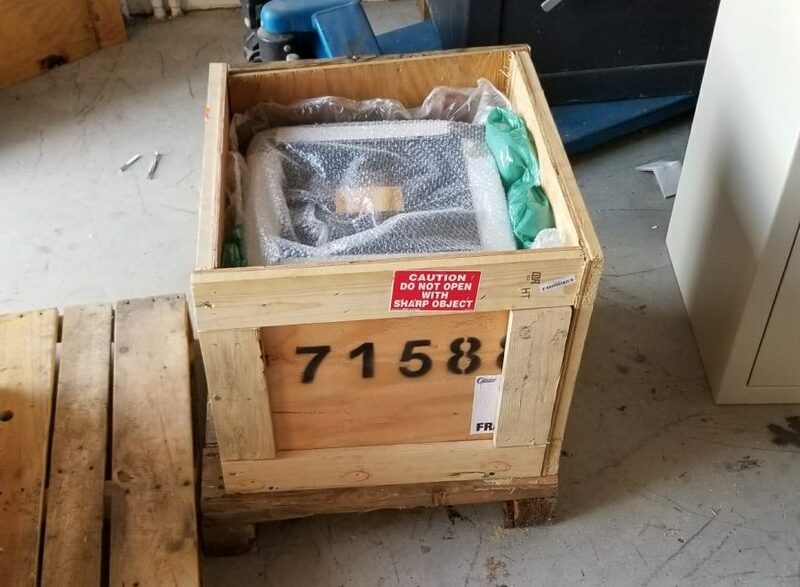 This is a 700 pound safe that we shipped across the country to Minnesota. 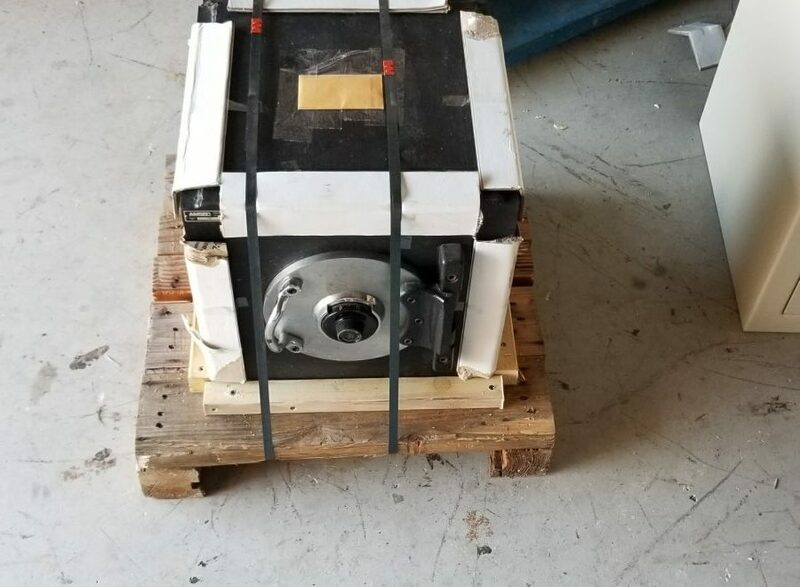 I put straps on to prevent movement inside the box as you can see in the first picture it ships on a pallet with pieces of wood screwed on all sides of it to ensure the the safe doesn’t move while being shipped. After that I secured each separate wall of wood the the pallet and to the adjacent wall on either side. As you can see in the second and third picture I filled the rest of the empty space with bubble wrap and then put the top wall on the box. In the last picture you can see it complete how it ships strapped tightly to the pallet ready to be put on a lift gate with a pallet jack. 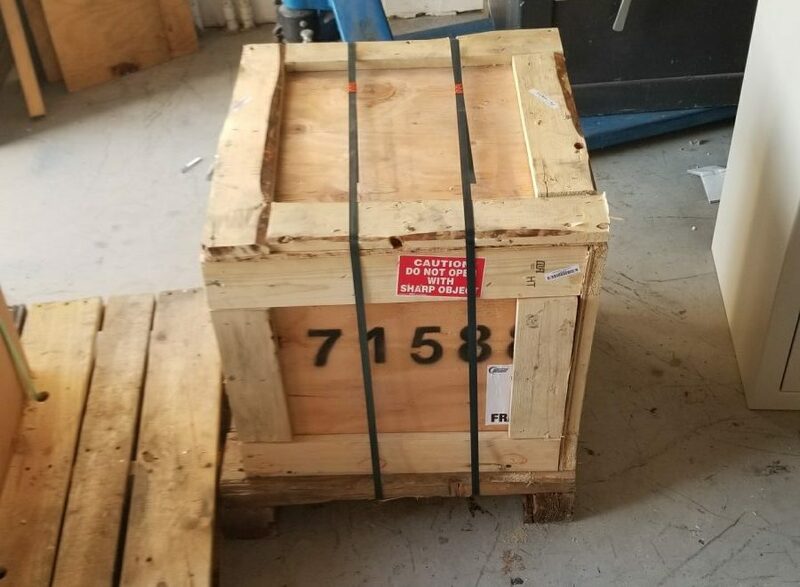 This safe was a Tl-15 lug door Amsec safe which at a total of 800 pounds in a box on a pallet ships for around $750. 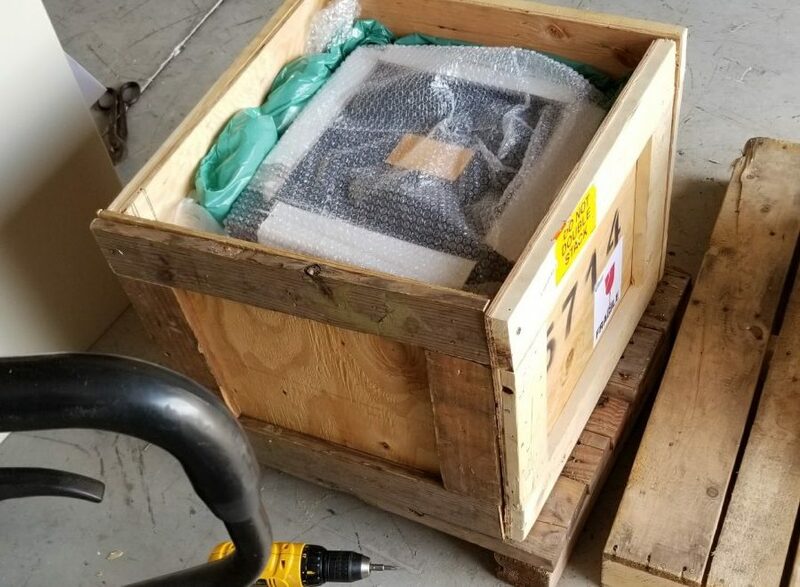 If you are willing to pay shipping prices you can still save a good amount on a great safe by buying from our used selection versus buying a brand new safe online and paying their shipping. We will ship anywhere in the continental U.S. as long as it’s paid in full plus shipping before it goes out.